ACS Festival of Cheese…2014??? – Kakain na! In a perfect world, all of my food experience posts would be no more than a few weeks old. However, that would mean I wouldn’t be writing about the American Cheese Society’s Festival of Cheese until late July or August at the earliest and that I would’ve made a trip to Denver just so I could have an AYCE cheese extravaganza. No chance. Looking at my list of suggested memoir topics, I realize many of them are from years past…and that’s okay. At this time, I’m content to really be writing for myself (and for my ever-supportive spouse). With that in mind, I’ll take those walks down memory lane, while I still have these memories. I don’t remember how I’d heard of the Festival of Cheese. It’s not like it was a hot topic in Sacramento. Now that I think about it, I think I might’ve seen a poster advertising it and was intrigued enough to look it up when I got home. Or else I did a search online for cheese festivals in northern CA, knowing that there’s an annual one somewhere in the Bay area that I always just manage to miss. In any case, I came across the website for the American Cheese Society and was fascinated by the fact they were having what sounded akin to a cheese festival or salon. I’d been to several chocolate salons and heard of garlic festivals, strawberry festivals, asparagus festivals but a cheese convention was new to me. Awesome! There was no question I wanted to attend and drag along my not-so-interested-but-ever-loving husband.  One hitch – the cost…$65 per person to attend. SIXTY-FIVE DOLLARS just to taste cheese? Seriously??? There was no way I was willing to do that, much less talk Gabriel into us spending $130 to eat cheese. No matter. I’m skilled in the art of getting around the prohibitive costs of such things and did a quick search on the ACS website. Bingo! Found what I wanted. There were volunteer opportunities listed. Knowing I couldn’t do very much, I signed us up for the shift that seemed to require the least amount of effort for the shortest period of time while still allowing for us to attend the convention. We were onboard for the post-convention breakdown. Two $65 entrance fees avoided, fantastic! We reported for duty at the Sacramento Convention Center where we were provided with some volunteer-only gear. Coolness again! Call me a dork, but I was thrilled to receive the “Cheese Guard” volunteer tee and ACS cap. Since we weren’t needed to help out until after the event was over, Gabriel and I were free to be regular attendees. Hoorah, onwards to cheese-feasting! There was once a CA Lottery commercial where there’s an image of a lot of cheese and a male voice coming to the realization that he could now afford to buy all that cheese. That’s how I felt faced with a convention hall full of table after table of mini-mountains and sizeable wedges of cheese, except all it was going to cost us was a couple of hours of work at the end of the night. Armed with a plastic picnic plate and disposable cup (the souvenir wine glasses having run out earlier in the day), we proceeded to roam around the room. I’ll admit it was a bit overwhelming. Despite it already being late in the day, there were still plenty of cheese samples available. For me, it got to the point where I really had to guess what might be interesting and put it on my tray then pass up the rest as I got tired of eating cheese pretty quickly. Sadly, there wasn’t a single cheese that stood out for me, not a one that told me, “Wow, remember this one as I’m going to want more later!” All I remember was the size of the room and how daunting it was to be faced with so much cheese. I’m glad they provided a map of the room, not that I looked at it other than to take a picture. Fortunately, also present were vendors who were providing non-cheese samples – wine, beer, meat spreads, crackers and more. It helped my palate to break up the cheese-tasting with the occasional bit of coppa, a sip of wine, a smear of foie gras on a cracker. Even better, several of these vendors were handing out substantial “freebies” of their products (technically as far the paying public was concerned, not freebies as I figure that those samples helped justify the $65 cost of getting in). Provided with a free reusable grocery bag from Raley’s, we quickly filled our bags with numerous full-sized packages of crackers. One memorable one was this flatbread cracker. The flatbread vendor was very generous with their samples and let us have a bag of each flavor, also letting us know these may be purchased at Sprouts markets. We typically have these on hand at home. While tasty by themselves (my favorite is the Sesame flavor), a slice of coppa, salami or other cured meat pairs well with the cracker. The other standout was from Potter’s Crackers – their Cranberry Hazelnut Crisps. Eating these fruit-and-nut crackers is a bit like the Lay’s potato chip ad from the 80s – you can’t stop at just one. There’s a very satisfying balance of sweet and savory just consuming them plain. My favorite accompaniment, though, is a double- or triple-cream brie. 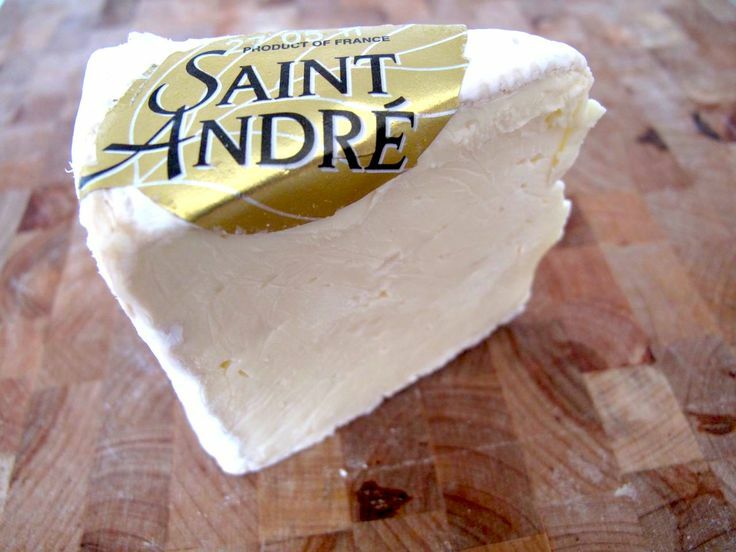 This double-cream brie sold by Costco will often suffice, but I find the Saint André triple-cream brie at Trader Joe’s a preferable indulgence. Potter’s crisps are a bit on the pricey side, so they’re a rare occasional treat at our house (around $5 for a rather small box at Nugget or the Sac Coop). I’ll have to admit, though, the end of the convention was my favorite part – actually, a few minutes after the remaining paying attendees exited. We, the volunteers, were informed we could pack up as much of the remaining goodies as we wanted in 10-15 minutes. Imagine scurrying around trying to figure out which cheeses and other items you wanted to take home (maybe like being a contestant on “Supermarket Sweep”). Granted, it might seem kind of icky to want to take home food likely touched by others, but it’s no different than eating at a buffet (and I am a fan of buffets!). Gabriel had to limit me in the amount of cheese we took home (and with good reason as it ended up being way more cheese than we could reasonably eat so a lot of it went bad, I’m sorry to say). There were even a few of the previously-unavailable souvenir wine glasses to snap up (okay, they required some washing first). I found myself taking with us some of the winning ribbons for some silly reason I can’t remember (they were going in the trash otherwise). At the end of the night, not a bad haul, especially given the amount of work we actually had to do (clean-up, I’m sure, went a lot faster than set-up). Although we were signed on for a two-hour shift, it actually only took about 30-45 minutes to break down the room. Well, worth the “price of admission” I’d say.